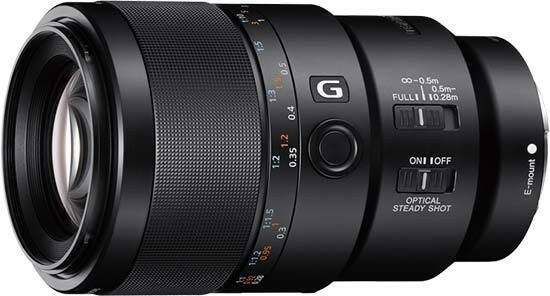 Listed below are some of the rivals of the Sony FE 90mm f/2.8 Macro G OSS. The M.Zuiko Digital ED 60mm f/2.8 Macro is a macro lens for the Micro Four Thirds system. Offering an effective focal length of 120mm, the Olympus 60mm lens offers a maximum reproduction ratio of 1:1 and is dust- and splashproof. Read our Olympus M.Zuiko Digital ED 60mm f/2.8 Macro review to find out if it's a must-have lens for all Micro Four Thirds users. The Panasonic LEICA DG MACRO-ELMARIT 45mm F2.8 ASPH. MEGA O.I.S. is a macro lens for the Micro Four Thirds system of interchangeable lens cameras. Offering an effective focal range of 90mm in 35mm terms, the Panasonic 45mm lens offers 1:1 magnification, yet it's small enough to fit in your hand and only weighs 225g. Read our Panasonic LEICA DG MACRO-ELMARIT 45mm F2.8 ASPH. MEGA O.I.S. review to find out if it's worth adding to your lens collection.